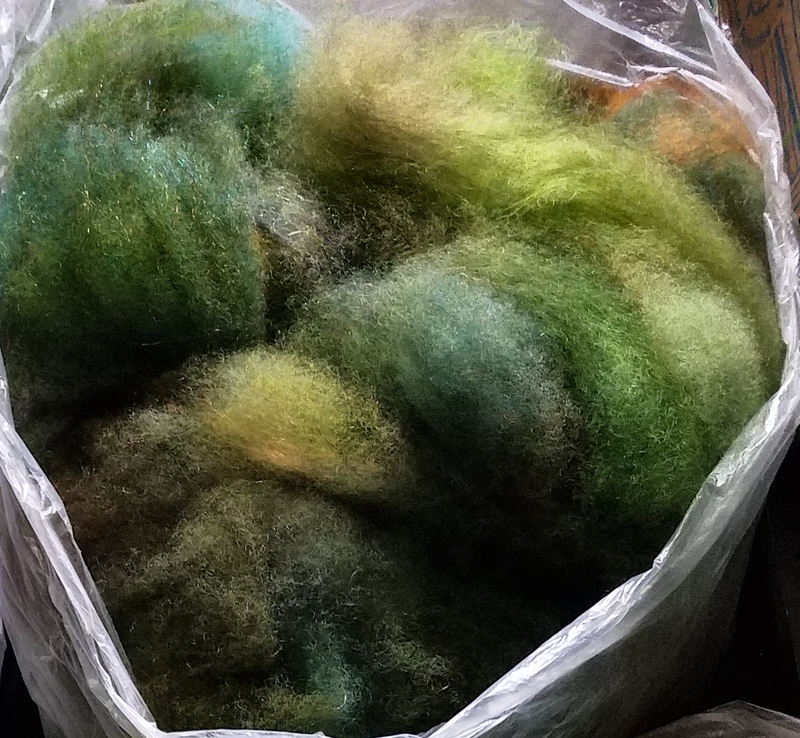 BFL wool, Border Leicester wool, kid mohair & alpaca washed, dyed and carded together ready for you to spin (or felt) into an artistic creation. 'Forest Glen' is a deep, forest green blend of fibers carded together with warm brown tones, cool blue flashes and bright purple/gold highlights. 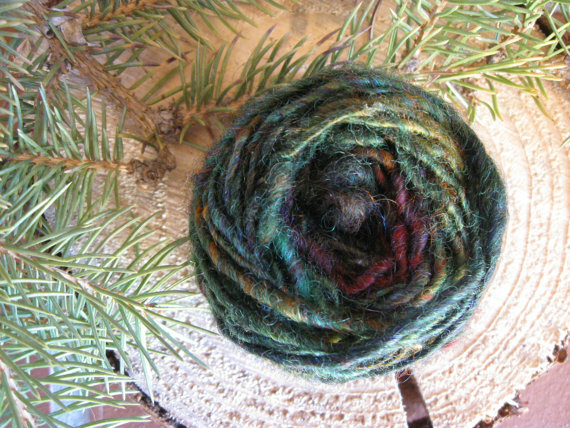 This blend works well for the hand spinner and the felter creating a colorful yarn or felt vessel. You will receive a 4 ounce bag of carded cloud ready to use. I must emphasize that this carded cloud is very easy to spin and flows like butter from your hands to the bobbin. The long staple of the fibers makes spinning this blend a very good choice for the beginning hand spinner. Likewise this carded preparation is ready to lay out for felting. 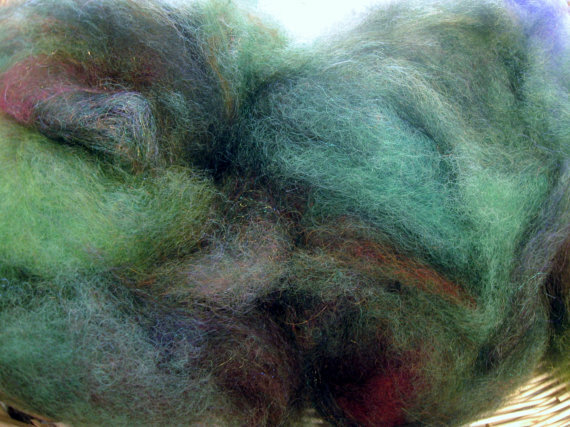 The animals whose fibers are in this blend are raised by shepherd's dedicated to the fiber arts and to their fiber animals. At Dakota Carding & Wool we pasture raise our sheep and goats and maintain a non-medicated, healthy environment for our four-legged friends! All of the fibers have been gently sheared, washed, dyed and carded using ecologically safe soaps and dyes. This fluffy, carded fiber is ready to ship. Please feel free to contact me with questions or custom orders.